Looking for Answers to Your Questions About Your DUI, Speeding Ticket, or Other Traffic Charge in Maryland? You have found the source for the answers to your questions about Maryland DUI and traffic offense related matters. We wanted to make this site different than all the other lawyer websites. First, we want to give you the information you need to make a decision about hiring a lawyer for your case in an easy to read non-lawyer speak format. If you don't find the answer(s) to your question(s), click on the "Contact Scott" button that can be found on any page to send your question directly to Scott. Second, we wanted to take the fear out of lawyer fees, so Scott Athen created the Flat Fee Guarantee for representation for every case that he accepts. I didn't have that many drinks, how accurate is the breath test? Does putting a penny under your tongue really fool the breath test machine? What should I do if I'm pulled over for DUI? How should I comply with the ticket, Guilty, Request a Waiver Hearing, or Not Guilty? 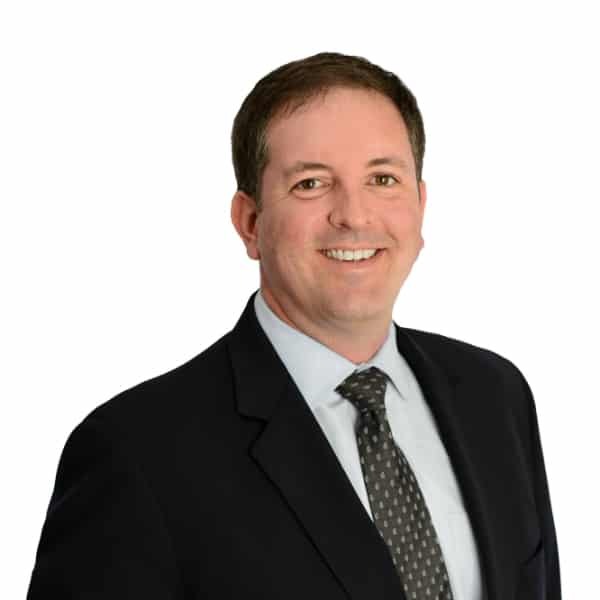 Educate yourself before you speak with any lawyer - including Scott Athen. The best decision is an informed decision. No hard sell here. In fact, after discussing your case, Scott will give you his Flat Fee Guarantee. Also, you also won't receive any unsolicited postcards or letters in the mail from us. We believe that you need to make your decision on your time, not someone else's. Scott wrote the book when it comes to answering your questions about DUI defense. 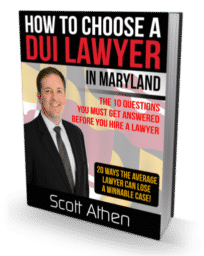 How to Choose a DUI Lawyer in Maryland is a FREE guide that gives you the ten questions that you MUST ask any DUI defense attorney before you hire him or her. The book will also explain twenty ways a lawyer might lose a WINNABLE case. From knowing what police look for to stop you, to the Field Sobriety Tests, to the breath test, the book gives you examples of successful defenses to DUI cases. Some of the busiest highways in the country pass through Maryland. Interstate 70 (I-70), Interstate 95 (I-95), Interstate 97 (I-97) and Interstate 795 (I-795) all merge with the Baltimore Beltway (I-695). On almost any given day, you can see a police officer or Maryland State Trooper running RADAR, LIDAR, LASER, or some other speed trap. You can get up to five (5) points on your Maryland Driving Record for a speeding ticket (it only takes 8 points for a potential suspension of your license). If you live out of State (or even if you live in Maryland for that matter), did you know that you can have a lawyer take your case to trial - and you don't have to go to court!? Saying you were going with the flow of traffic or the officer must have gotten the wrong car are not defenses that work. But don't worry, there are battle-proven and time-tested defenses to speeding [both Statutes - 21-801.1 and 21-801(a)] that Scott has developed in all of his years of practice.